When Representative Carlos Curbelo proposed a price on carbon recently, he garnered a lot of attention among energy hawks, and not just because he is a Republican. The Trump administration has been busy scrubbing all references to human-caused climate change from its policies – and instead pushing hard to deepen our addiction to coal, oil, and natural gas. So it was refreshing to see any proposal on the table that would curb the use of climate-damaging fuels rather than expand them. Like people in the coastal communities of New England, Rep. Curbelo’s Florida constituents know the impacts of climate change firsthand. Facing rising sea levels and saltwater infusion into drinking water, the risk to Floridians of doing nothing grows more unacceptable every day. But, while Rep. Curbelo’s bill deserves a close look and a fair hearing, Congress should ultimately reject it because it is a cleverly disguised bait-and-switch that would weaken clean air protections and put our health at risk. Putting a price on harmful carbon pollution should be a no-brainer. We all pay the high cost of climate change from increased floods, droughts, fires, rising seas, and diminished health. Why not put the cost of this back on its cause – greenhouse gas emissions from dirty fossil fuels? A key attraction of taxing carbon pollution is that it appeals – at least theoretically – to conservatives and liberals alike. For free-market conservatives, it puts a price on something we want less of and lets the market make decisions about allocating resources. For liberals, it provides an effective tool to manage and cut climate-damaging emissions. Carbon pricing also generates revenue that can be used elsewhere. It can support the transition to cleaner energy. It can be put back in taxpayers’ pockets. Or it can pay for other goods and services. The beauty of carbon pricing lies in its simplicity. It builds on a system that is already in place. It is also flexible and can be changed as needs change. Where it has been used to date, it is one of the most useful tools to cut emissions. The Curbelo bill essentially replaces the current 18.4 cents per gallon federal gas tax with a nearly equivalent, moderate carbon tax – $24 per ton (or roughly 21 cents per gallon). It then uses 70 percent of that money as much-needed revenue for the Highway Trust Fund. Some of the remaining money would be used for grants to low-income households and coastal mitigation projects. But replacing the gas tax with a carbon price will not be effective in cutting carbon to the levels needed to avert the worst impacts of climate change. In some ways, a gas tax already puts a price on climate-damaging pollution, so simply replacing it with a price on carbon – especially when that proposed price is so low – will do little to make a major dent in fossil fuel usage. What’s more, Curbelo’s proposal would place a moratorium on the Environmental Protection Agency from finalizing and enforcing Clean Air Act regulations of greenhouse gas emissions, undermining the agency’s ability to reduce carbon pollution nationwide. At a time when President Trump is actively working to weaken the federal Clean Power Plan by ceding its authority to the states, rolling back effective clean air requirements as Curbelo proposes is downright dangerous to our health, our economy, and our climate. And completely unnecessary. An effective carbon price can help us reach the needed Clean Air Act reductions. You don’t need to roll them back. And if you do, we’ve lost a backstop and a legal requirement to hold our feet to the fire to make sure we get the job done. – In Massachusetts, the Senate recently passed a very modest proposal to price carbon, but it was eliminated in the final energy bill that passed both houses in late July. – In Rhode Island, a carbon pricing proposal that would take effect once Massachusetts and another state in the Regional Greenhouse Gas Initiative enacts a carbon fee is being considered. 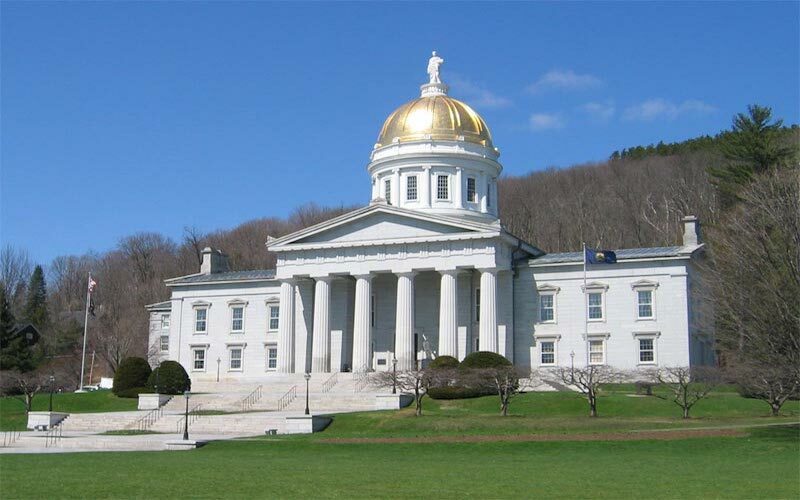 – In Vermont, a study of carbon pricing will occur over the next year and will include evaluating a plan to price carbon pollution and rebate the money collected as credits on electricity bills. Ultimately, a carbon price is one tool. It is not the only tool. Just as you can’t build a whole house with only a hammer, you can’t cut emissions as much as we need to with only a carbon price – and especially a low price that merely replaces an existing tax, calls it something else, and covers less than half of the generally agreed upon social cost of carbon pollution. CLF will continue to work with our New England legislators to advance an array of measures necessary to cut climate-damaging emissions. These include increasing renewable energy, cutting car emissions, bolstering energy efficiency and putting a price on carbon pollution. All of these will help us get where we need to go. Rolling back effective regulations or replacing sound actions with tepid policies fails everyone.